Perfect timing on this news as I just bought a Funko of Krypto the Super-Dog. According to Collider, Warner Bros. has hired Jared Stern to write and direct Super Pets, an animated movie centered on the pets of DC Comics heroes. 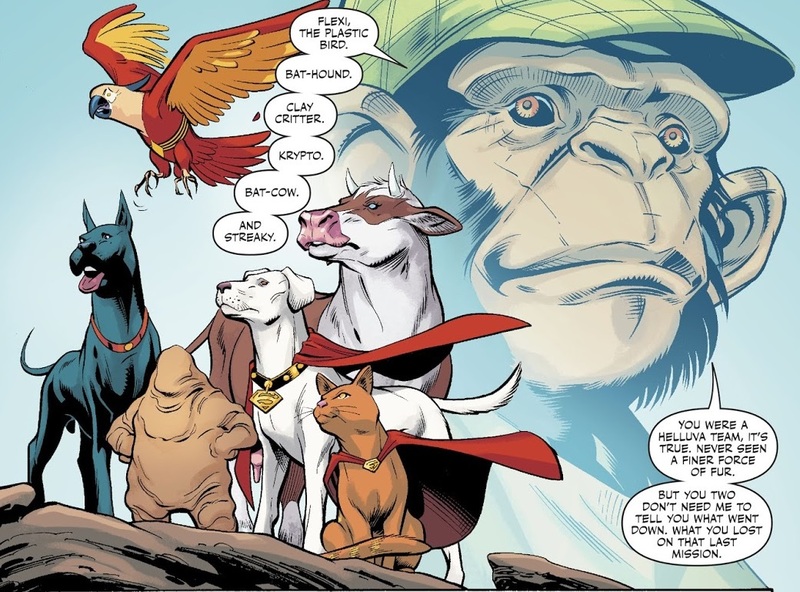 If you've never heard of the Legion of Super-Pets, they mainly consist of Superman's dog Krypto, Streaky the Super Cat, Comet the Super Horse, Beppo the Super Monkey, Bat-Cow, Damian Wayne's dog Titus, and more. Right now it's unclear if the film would be based on the comics or the DC Super Pets toons that aired on Cartoon Network. You might think this sounds dumb and like a totally DC kind of thing to do, but know that Marvel has Lockjaw and the Pet Avengers as their resident animal squad. Stern is becoming quite the heavy hitter over at Warner Bros. where he wrote The Lego Batman Movie and The Lego Ninjago Movie. He also wrote and directed Netflix's rom-com Happy Anniversary starring Noel Wells and Ben Schwartz. I take it this won't tie in to Todd Phillips' Joker movie?